The Internet has never been more social and the large number of social networking sites popping up every other day is a testament to this fact. Not a day passes by without the introduction of atleast a couple of social networks. And social animals that we are, most of us like to be active on more than one network. But, as most of us realise, managing those account becomes a nightmare pretty soon. Power.com is here to save the day for all you social animals. It is an interesting tool. Instead of working with and adding to the feature set of a particular social network, Power.com, lets the user login and stay active on all the networks that it currently supports. 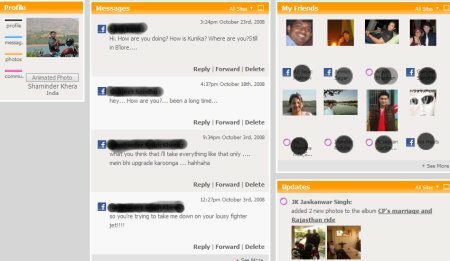 What that means is that a user who logs in to power.com will be able to interact with all his/her contacts across facebook, orkut, hi5 and myspace from right within the power.com window. While the interface could have been better, the integration of the all the different networks that it supports is pretty consistent. One can see all messages from the supported networks on a single page and also see all your friends on the same page. Power.com displays this information in a layout which looks a lot like the default orkut homepage, although the color scheme is different and very easy on the eyes. Another interesting feature Power.com offers is the ability to send a message to any of your friends without even visiting their profile or scrapbook. Just hover over the friend’s name and a menu appears which will let you send a message directly. In fact, you can reply to any messages that your friends might have sent you right from the Start Page of Power.com itself. No need to open multiple windows and having to login to different networks. Power.com also provides a toolbar which is claimed to work on anything newer than IE 5.0 and Firefox 1.0.1 and provides access to most features without even visiting the website. 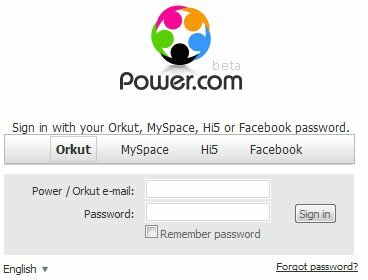 Oh yeah, before I forget … if, for example, your administrator has blocked access to orkut.com at your school/office, Power.com will still let you access orkut since the actual site will be opening inside of the power.com window. Are there any other social networking tools that you guys use to manage your online presence ? Anything that aggregates different networks and provides a single view ? So, when do you leave for toronto.